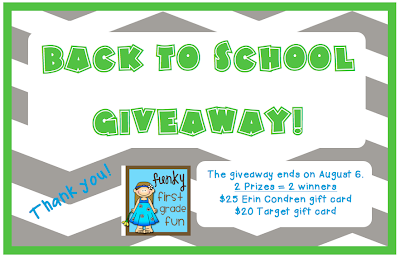 Funky First Grade Fun: Back to School Giveaway Winners! Thank you to all those who entered my back to school giveaway! Congratulations, Lori! 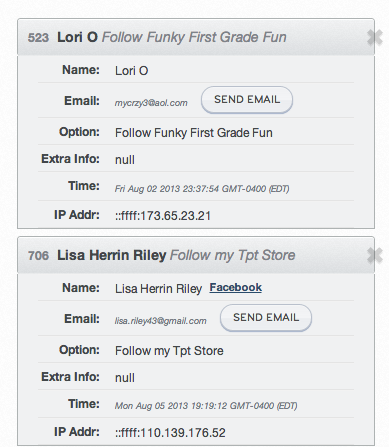 You won the Erin Condren gift card! Congratulations, Lisa! You won the Target gift card! I sent each of you an email about how to claim your prize. You'll need to contact me before the end of the day on Thursday, August 8.